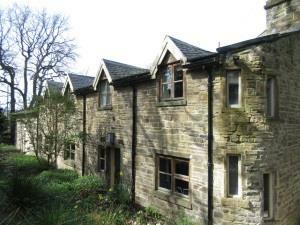 Royd Mill Bed and Breakfast01535 648835work Bed & BreakfastBoth rooms are on the ground floor and have French doors opening onto a private patio. Almost level access throughout and no steps, inside or out. Relax and enjoy the comfort of the guest lounge / dining room in front of the fire, perfect for cosy nights in. The guest dining area is the perfect setting for a leisurely breakfast. Guests may use the dining room for ordering in takeaways or if they wish to consume their own snacks. Crockery & cutlery available. Breakfast or drinks may also be enjoyed on the private patio. Enjoy the peace and quiet of the countryside, just the sound of the water flowing down the mill stream and the bird song in the trees above your head. As each room has its own outside door onto the patio so you are free to come and go at your leisure, but we will be here if there is at any time anything you would like or need during the stay. We know lots about where is good to eat, have a drink, where to walk, what is interesting to visit and what is on locally. Cycle storage available. Children are also welcome by prior arrangement as space in the rooms for additional beds is limited. Happy for parents to call to discuss requirements. Dogs are also welcome by prior arrangement to ensure compatibility with our dog. Happy for owners to call to discuss requirements.